This area, a few kilometers south of the lively central area of Namba, is home to a major railway station (Tennoji station) around which there is one of the poorest areas of Osaka. The area has been recently renovated with the construction of several modern shopping centers, in contrast with the old amusement neighborhood of Shinsekai and with one of the largest red light districts in all of Japan, Tobita Shinchi, both located nearby. 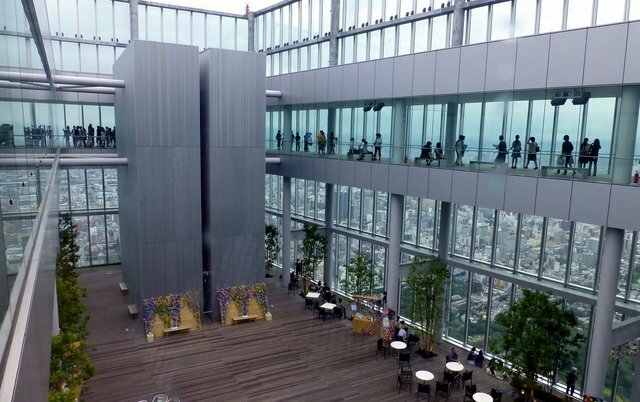 In recent years around the station Tennoji some large shopping centers have been opened, one after the other: Mio Tennoji, Abeno Cues Town, the underground mall Abechika, and above all the huge complex called Abeno Harukas. 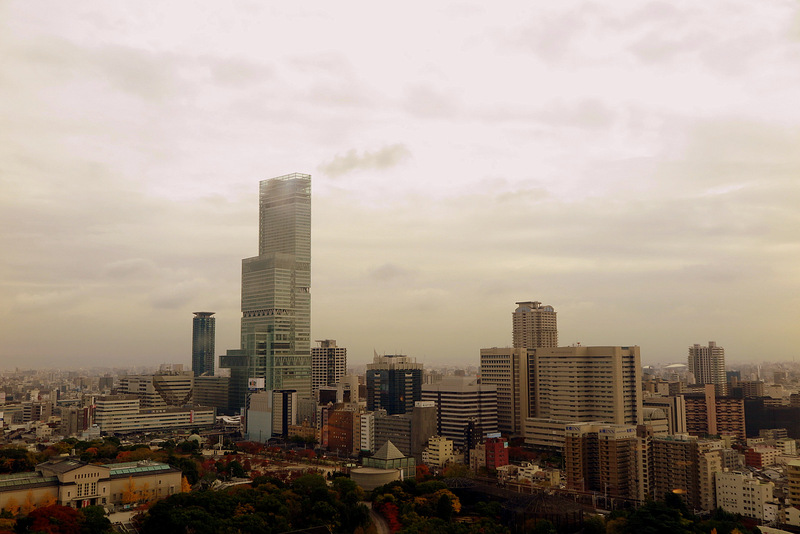 Recent construction opened in 2014 within a broader recovery project of the whole area, with a height of 300 meters, the Abeno Harukas is currently the tallest building in Japan (the former one was the Landmark Tower in Yokohama). The first 14 floors of the skyscraper house the Kintetsu Department Store, which are the largest department stores in Japan. The Abeno Harukas Art Museum (an exhibition space that hosts various exhibitions throughout the year) is located on the 16th floor of the building, and the elevators to the observation deck located on the top 3 floors of the skyscraper, called Harukas 300 must be taken from this floor (it is the second tallest observation deck in Japan after that of Tokyo Sky Tree). Tickets can be purchased on the second floor of the skyscraper, while the elevators to go up to the top, as already said, are on the 16th floor. The observation deck is divided on 3 floors (58°, 59° and 60°): the elevator will take you to the 60th floor, from which you can admire the 360° view over the city, on the 59th floor you can find the usual gift shop, the 58th floor is a kind of open air inner courtyard, where there is also a cafe (Skygarden 300) and where in the evening a light show is performed (every half hour from 19:15 to 21:15). 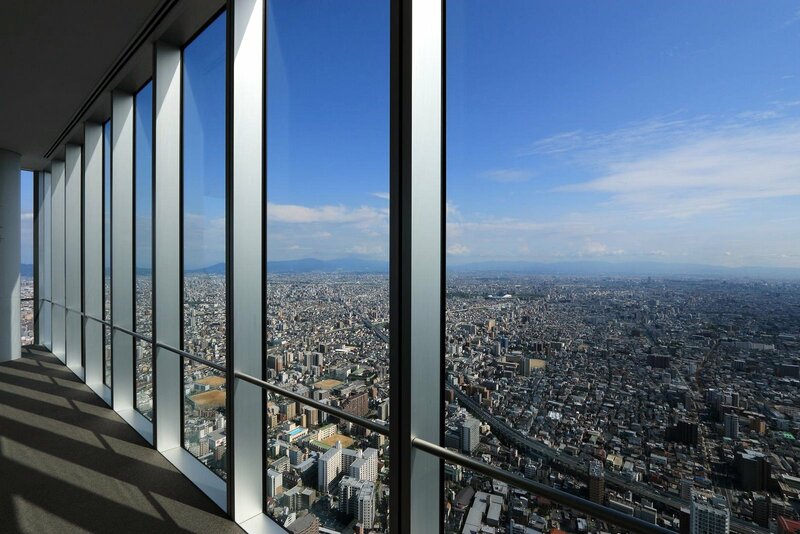 The view from this observatory is boundless, there isn't anything that obstructs the view, however, if I had to choose the most attractive view between this observatory and the Umeda Sky Building in Umeda, I would choose the latter. 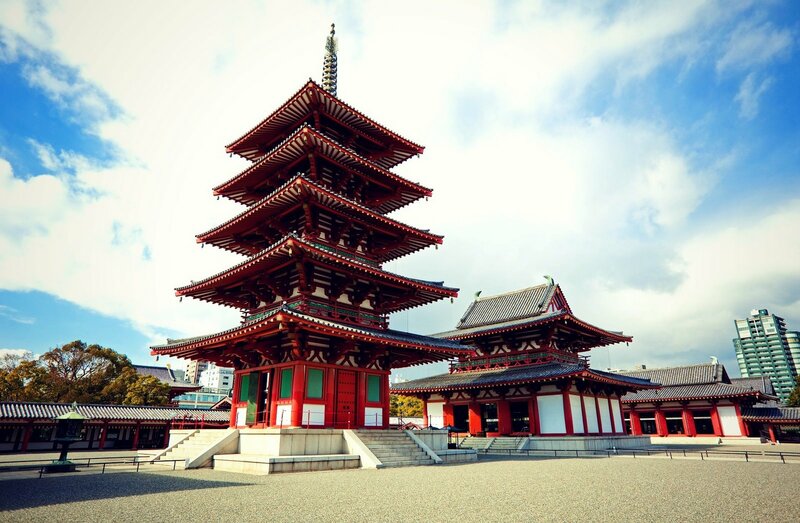 Approximately 800 meters north of Tennoji station you can visit one of the most important temples in the city of Osaka. One of the oldest temples in all of Japan, founded back in the year 593. The current buildings were rebuilt in 1963 but trying reproduce the original style of the temple. It is one of the largest Buddhist temples and one of the few (maybe the only one) that is really worth a visit in Osaka. 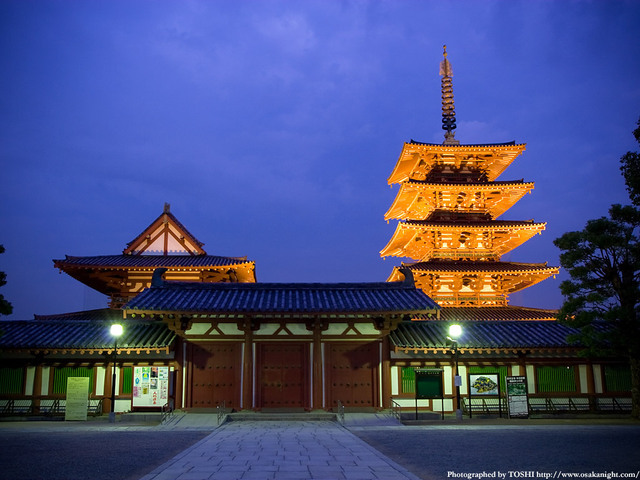 Inside the temple grounds there is a 5-storey pagoda that can be visited also inside and a wonderful Zen garden, called Gokuraku-jodo, whose design was based on the descriptions of the "Western Paradise" of Amida Buddha. 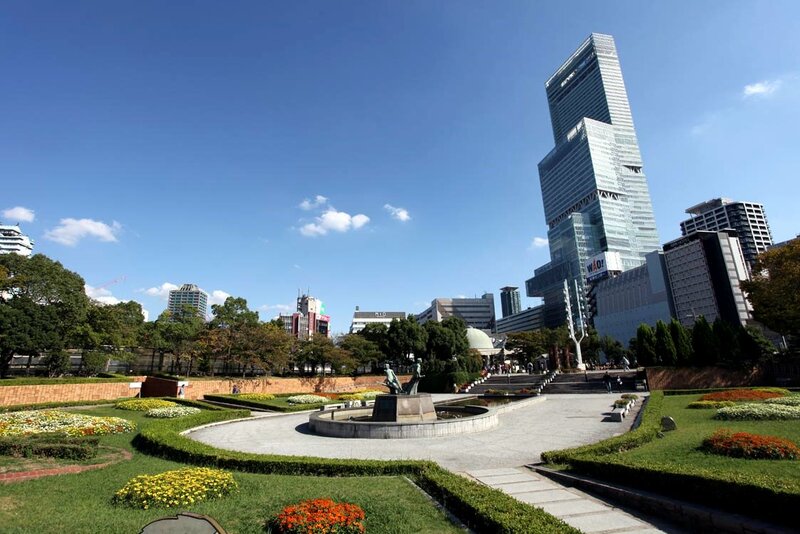 Next to Tennoji Station, to the west (east of Shinsekai), there is a large park, which can be crossed without paying anything, but the two main areas have an entrance fee, Tennoji Park and Tennoji Zoo. This park, as well as the entire area, is a place of stay of several homeless. A large botanical garden. 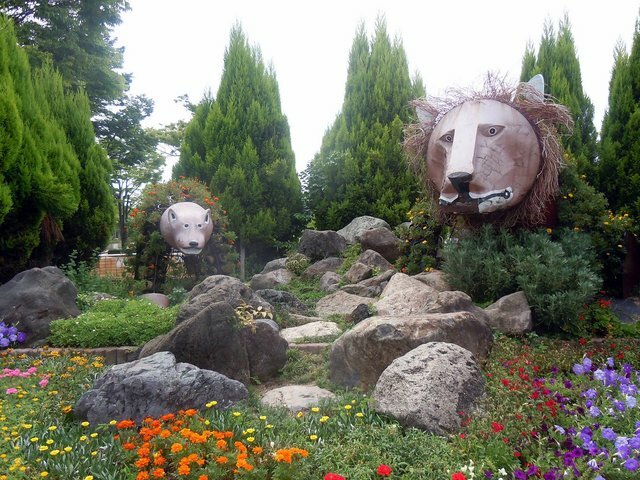 Around you will notice some curious animal statues covered with flowers. Within this park there is also a small traditional Japanese garden, called Keitaku-en Garden, and the Osaka Municipal Museum of Fine Arts. You don't need to pay the 150 yen entrance to the park if you have already bought the entrance ticket to Tennoji Zoo or to the museum. One of the oldest zoo in Japan, opened in 1915 and today has got about 1,000 animals of 230 different species. This zoo is often criticized for its bad conditions and bad conditions of some of its animals kept in small and dirty cages. It is definitely not one of those to be recommended among all zoological parks in Japan. A few minutes from Tennoji Station, near Shinsekai, you can find many of the cheapest places in the city and perhaps in all of Japan where to stay. More information in the guide of Shinsekai. A good business hotel near Tennoji station is Tennoji Miyako hotel. 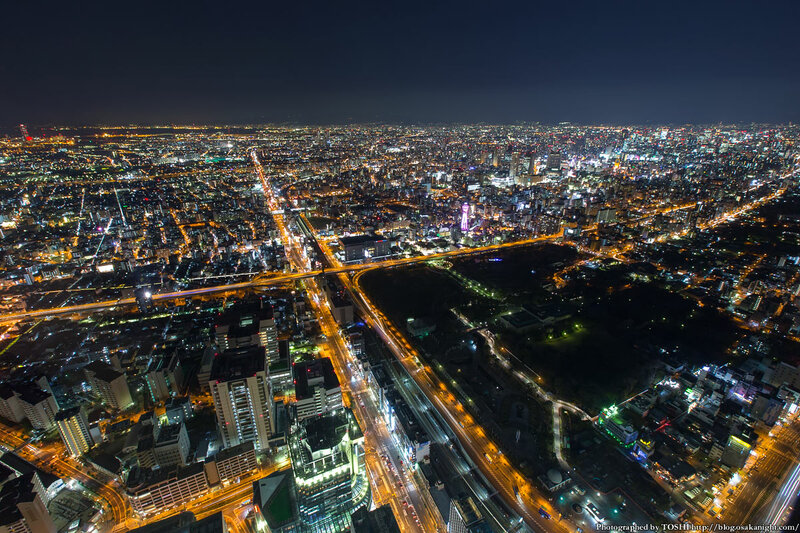 A very different alternative is that of staying in the second tallest hotel in Japan, the Osaka Marriott Miyako hotel, whose rooms with wonderful views are located between the 38th and the 57th floor of Abeno Harukas and can give an out of the ordinary experience. Tennoji station is one of the largest railway stations in the city, served by the Osaka Loop line, Yamatoji line, Hanwa line of JR and by the Midosuji and Tanimachi lines of the subway. A few meters from Tennoji Station there is also Abenobashi station (just below the Abeno Harukas), terminus of the Kintetsu Minami-Osaka Line. Lastly, another useful station could be Shitennojimae Yuhigaoka, the stop before Tennoji along the Tanimachi line of the subway, which is located a few hundred meters closer to Temple Shitennoji, compared to Tennoji station.